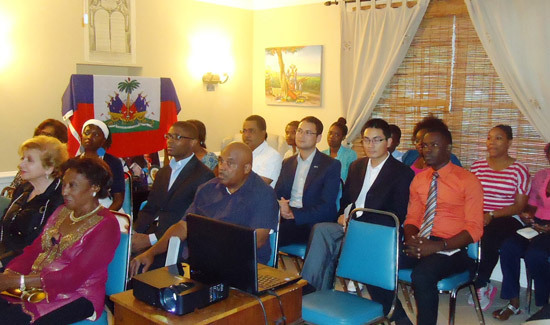 The Alliance Française des Bahamas held a series of events and activities for the week of the Francophonie. 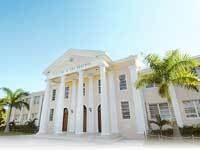 It invited the different countries in the French speaking world present in The Bahamas to participate in the events in order to have a wider range of activities for the Bahamian public. On April 1, U.S. Chargé d’Affaires a.i. 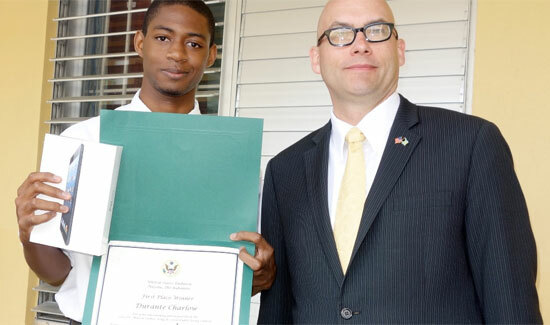 John L. Armstrong visited Doris Johnson Senior High School to formally recognize 11th grade student Durante Charlow, one of the three top winners of the U.S. Embassy’s 8th Annual Martin Luther King Jr. essay contest. 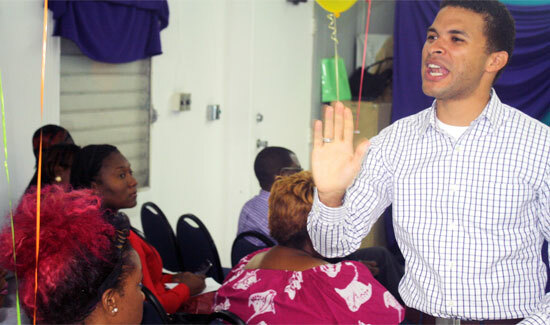 Director of Youth, K. Darren Turnquest in a spirited address to cosmetology students of The Bahamas Technical and Vocational Institute (BTVI) encouraged them to take their chosen career path seriously. 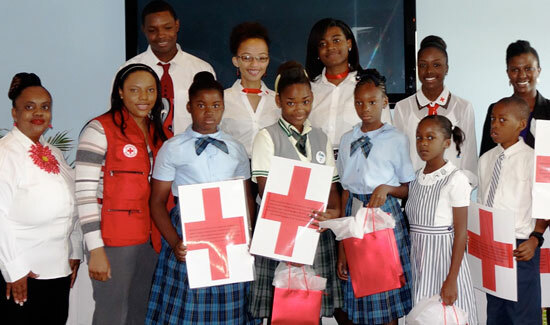 The United States Embassy’s Public Affairs Officer visited Grand Bahama for the official launch of the Junior Red Cross program during a ceremony at the Pelican Bay Resort. 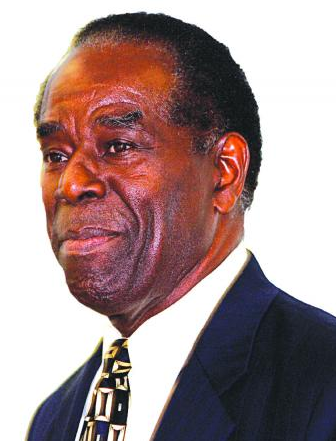 Top winners in the U.S. Embassy’s 2014 Martin Luther King Jr. 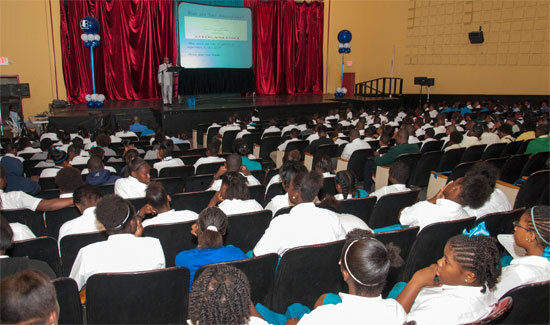 Essay Contest were also awarded at the ceremony.